Louis Garneau's Tap Cycling Gloves are cleverly designed and comfortable, combining everything needed to transition from summer to winter. 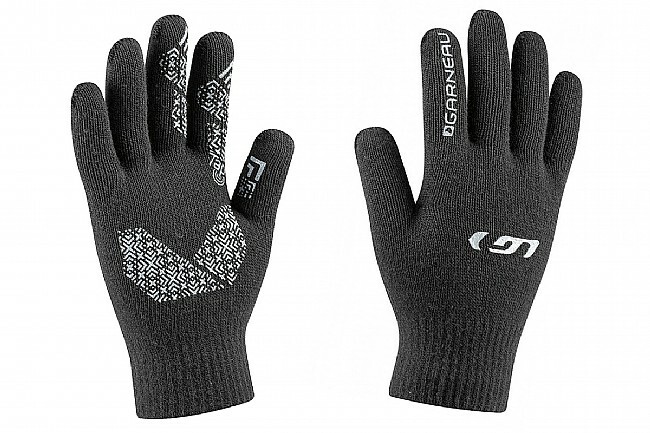 Its versatile design make it effective on its own as a lightweight glove but also as a liner beneath heavier-duty handwear. The tactile, textured fingertips make it compatible with touch screen devices. The silicone-printed palm provides extra grip and control. Versatile design - wear alone or as a liner. Made of acrylic-spandex blend with silicone-printed palm. Palm Circumference 6"-7" 7"-8" 8"-9" 9"-10" 10"-11"